LG’s Watch W7 has finally made its way to us, so what better way to kick off our review process than with a good ol’ fashioned “first look and tour” video. This is after all, our first time ever seeing this Wear OS hybrid smartwatch in person. The big thing to note with the W7 is its usage of mechanical hands, instead of everything being digital. While it has all of the same smarts as any other Wear OS device on the block, LG has positioned this device to be much more of a traditional timepiece than something you’ll take out for a jog or go swimming with to track your laps. Because of this positioning, LG has not included a few things you’d expect on a smartwatch. For starters, there is no NFC, no heart rate monitor, and no standalone GPS. 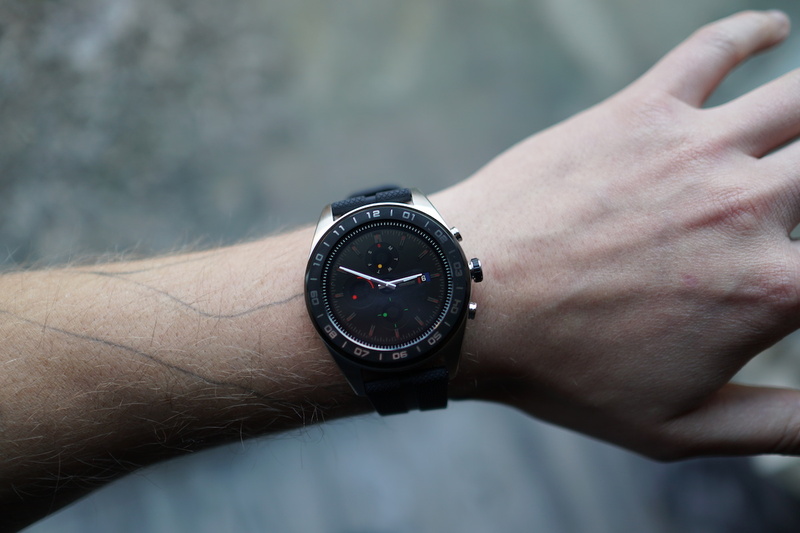 That already may make it seem like a tough sell at $450 when compared to other smartwatches, but if you’re looking for a classic watch vibe with a bit of smarts, like the W7 delivers, it may be something to consider. Full specs can be seen here. Regardless, I’ll report back with a full review a bit down the road. In the meantime, watch the video below, then share any feelings you may have down below.